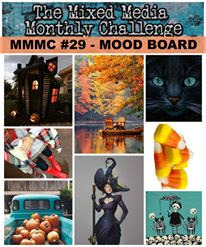 I made a second project for the Mixed Media Monthly Challenge October Mood Board Challenge. 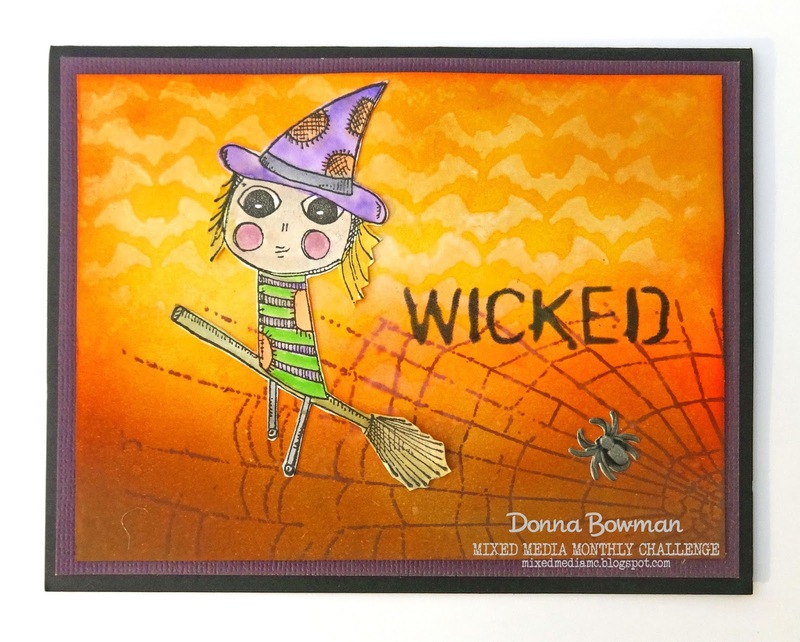 I used a Stampotique Witch stamp and Spider Web stamp to create this card. I blended the background using various Tim Holtz Distress Inks. Then, I stamped the Stampotique Spider Web Stamp in Wilted Violet. I watercolored the Witch with Distress Markers. Then, I sprayed water through the Tim Holtz Bat Stencil. For the sentiment I used Black Soot Distress Ink and a Tim Holtz Stencil. Finally, I added a little Tim Holtz Industrial Sticker Spider to the spider web. I hope you will join our October Challenge and I can't wait to see what you create! Oh what a fab image and a fun design Donna! Beautiful card! Love the sweet with stamp. I love the color scheme and the adorable stamp. Your project turned out so cute! Oh my...I love this card. I have some of the Agatha Stamps and I love playing with them.